Data breaches increased 49% in 2014 to one billion data records compromised, with cybercriminals targeting identity theft as a top breach category, according to research by Gemalto. The numbers, compiled from 1500 known data breaches, represent a 78% increase in data records that were either stolen or lost compared to 2013. Are you PCI Compliant Yet? A lot of merchants and service providers are not and you better hurry! Visa has announced that it is stepping up enforcement of PCI Compliance. With all of the high profile credit card breaches its no wonder it has taken this step. The announcement comes in a Visa Service Bulletin. Visa encourages clients to work with their non-compliant or overdue Level 1 and Level 2 merchants and service providers immediately to obtain either validation documentation or a remediation plan. Entities with overdue PCI DSS validation or that have never validated PCI DSS compliance must submit a remediation plan to their Visa clients. Visa clients are responsible for reviewing and accepting the remediation plan. If the Visa client accepts the remediation plan, it must provide Visa with the Qualified Security Assessor (QSA) company name (if applicable) and the planned validation date to suspend assessment." La fraude en ligne a légèrement baissé en 2012, fruit dune collaboration accrue entre spécialistes de la sécurité et e-marchands. An undisclosed number of individuals who used their credit cards to book reservations through the website of hotel management company AMResorts may have had their personal information compromised. 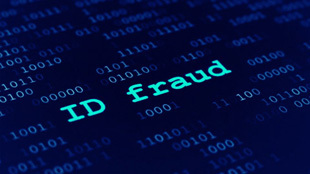 Massachusetts-based automotive parts seller ID Parts is notifying roughly 12,000 individuals that malicious code was inserted into the functions that process customer payment information on the ID Parts website, and their credit card information was stolen.